Spot Celcom's banner at the toll plaza: WiFi kereta anda dengan PortaWiFi PERCUMA! As promised, I gonna talk about my experience at Celcom Blue Cube Centre to redeem the FREE PortaWiFi using the flyer I got from the toll earlier today (which I blogged HERE). 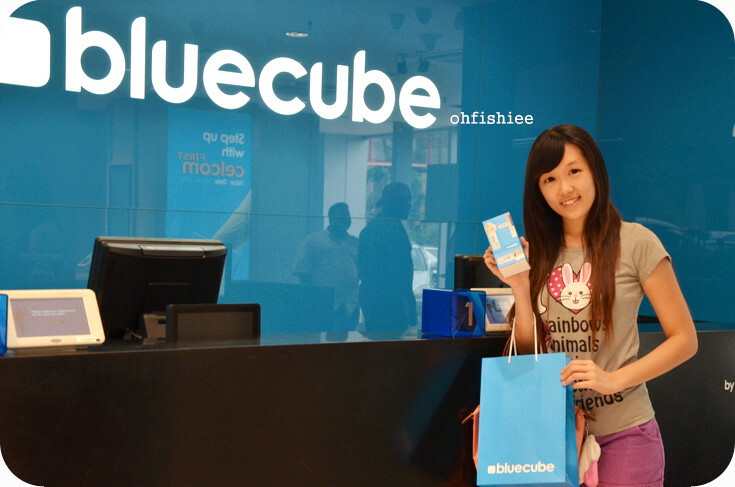 the selected Blue Cube outlets to redeem it by 31 July 2013. I quickly drop by at Sunway Pyramid's outlet to redeem it. and the friendly staff attended to me almost instantly. 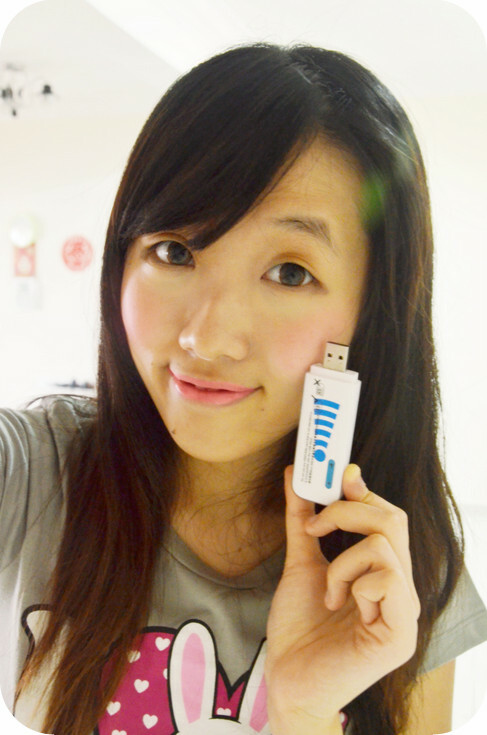 ...and finally gotten my brandnew PortaWiFi for FREEEE! If you’re wondering what a PortaWiFi is, listen up! PortaWiFi by Celcom is a device that lets you enjoy your very own personal WiFi wherever you go! Using one single Celcom First Data plan, you can use the PortaWiFi at home, outdoors on your laptops, tablets and even in the car. The daily rate starts from as low as only RM2! Inside the device, it stores a conventional sized SIM card and a memory card. Now, your long journey to kampung this Raya is not boring anymore with PortaWiFi! You can stay connected while on the go, and enjoy every moment with the loved ones. Yay! I'm happy that I can now WiFi every place I go! Don’t get a flyer at the toll plaza? No worries! Celcom is having a promotion this Raya where you can get a FREE PortaWiFi when you sign up with their Celcom First Data plan and enjoy a total of up to RM120 rebates on your monthly bills. Wow the Sunway branch is so nice! We have no such thing over here.You south east Asian bloggers are so lucky . you can buy any car charger (rm10) and buy any huawei dongle with MIFI (yes MIFI not WIFI)(rm95). Same thing. We have been using Celcom Porta Wifi (with advance data plan)for a few months now. For the first 2-3 months, the connection was okay (but slow compared to our previous Celcom USB broadband which had a lower data plan!). During and after the Hari Raya holidays, the connection has become very very very slow to the point that you have to wait between 3-10 minutes before Google or a new page appears on your screen. It's almost impossible to do anything! Celcom has to improve their disappointing service! Almost every business and every potential customer is connected to computers in some way, and any promotional product that makes that connection easier and more efficient is a good choice of product.